Chances are, if you got to this post, that you are worried about traveling through the North of Mexico. The reality is the United States Department of States and Consular Affairs lists Mexico with a level 2 – Exercise increased caution.1 Interestingly, Germany is listed on the same level of security advice for American tourists due to terrorism.2 You might be surprised to find more countries at the same level. So what is actually behind all this fuzz? But what about all the cartels? Yes, it’s true there are cartels and organized crimes in Mexico, but to be honest, don’t you think these guys have better things to do than bothering a backpacker. After all, it depends on what you are looking for. As many people will tell you during your travels there – ‘Que busca – encuentra’’ (Seek and you shall find) which seems to be true in those areas. In contrary, you will actually be surprised how helpful and nice the people are in those supposedly dangerous areas to tourist. The simple fact is that foreigners are not as common and people are curious about you. They will go out of their way to help you more than you ever expected and they will justify it with the following argument: It’s so dangerous here, you never know who you find. Is there even anything to see there? Just because your travel guide doesn’t mention much about the above-mentioned areas it doesn’t mean it’s ugly there. There are many beautiful places to visit. You can go from the coastal area on the Gulf of California to the mountain area with pine trees into the desert within a day of traveling. The simplicity of the travels is fascinating. Some specials to look into are Mazatlan, The copper canyon, Basaseachi Waterfalls, El Salto and the City of Durango. Hitchhike, Train, Bus or Car – what can be done? The answer is all of the above. Busses in Mexico, in general, are very much up to date. You might be surprised to find 2 toilets, yes, one of the women and one for men on the bus. Touch screen with movie option and/or a movie being played in the front for all passengers. It all depends on your comfort level. One tip, customer service will always assume in Mexico that you are rich. If you don’t care about the luxury option you will have to tell them upfront. ‘Económico’ is the magic word or with a bit more Spanish you might say ‘quiero lo mas barato’. 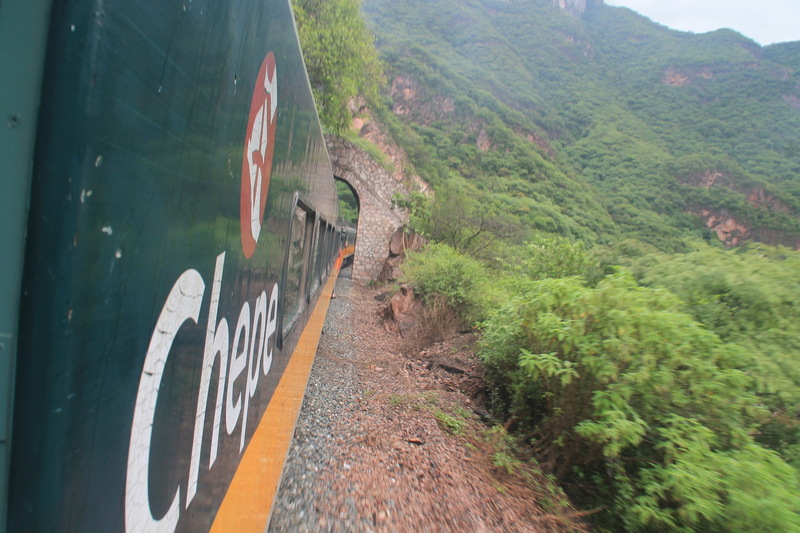 A special tip is the world famous train El Chepe.3 It goes from Los Mochis until the City of Chihuahua with a total travel time of roughly 13 hours. Departure is from either end at 6 am but since a heavy rainstorm in October 2018 some constructions are being done and frequency might vary. For the Mexican pocket, this train is definitely one of the spendier tourist attractions. There is no reason, however, to justify the 1st class ticket. The trains are the same and if you don’t want to find yourself in a train with a whole bunch of other ripped of (mostly white) tourists, save your money and opt for the 2nd class. In the “económico” class you will be traveling with mostly Mexicans and get your real cultural experience. 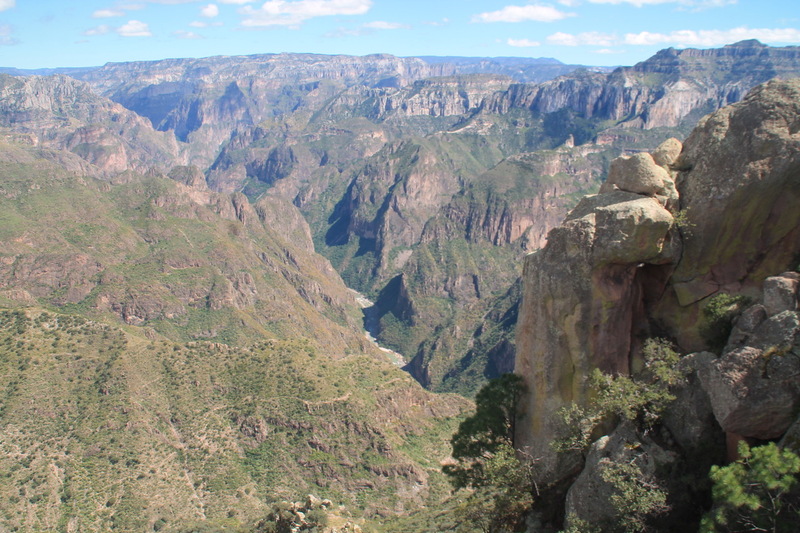 For the low-budget travelers, I suggest taking the train from Los Mochis until the Copper Canyon. This part is not very well connected with roads and has a lot of breathtaking views to offer. It’s roughly 8 hours and you won’t be sleeping much, promised. After that, you can continue via bus or hitchhike to finish your journey. After the Copper Canyon, most of the trail runs parallel to a street so you will be able to save money and have an equally nice ride. 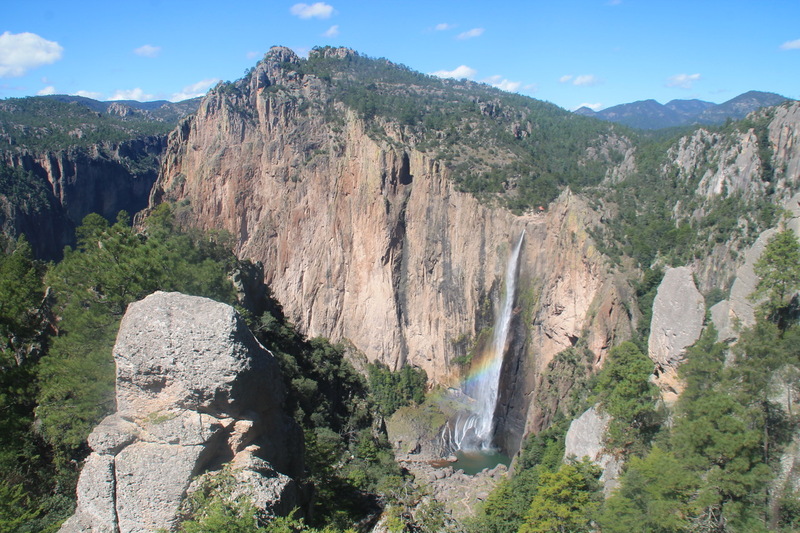 You can get off at ‘Posade de barancas’ and directly hike into the Canyon via the Panaramic Trail (Directly behind Cabanas de Rogeli), there is no ticket control on this side and you can follow the trails safely on your own from here on. The hiking trails can all be found on maps.me but are also very clearly marked. Also, most hotel options are found in this town. They range everywhere from 300 pesos to 600 pesos and are definitely more low-cost affordable. 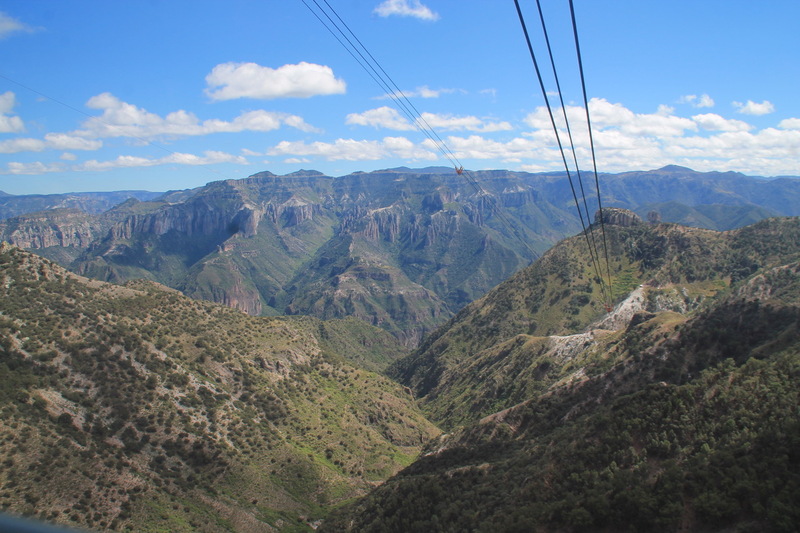 ‘Estacion Divisador Chepe’ is connected to the Adventure Park at the Copper Canyon. You can walk from here to the main viewpoint, zip liner, zip line tour, and other fun activities. 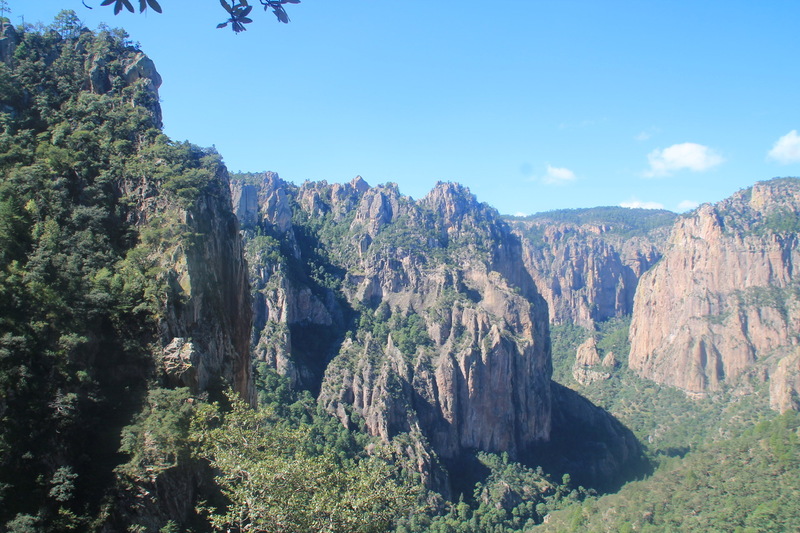 Take the time and research about the Camino del cobre, you can join this trail from de Divisador Chepe. The trail is also fully on maps.me for the digital guides, however, the trail itself is frequently used and very well maintained. It is mainly marked as well though sometimes the marks aren’t 100% obvious. You can walk from the Divisador until Pitoreal if you leave early in the morning. I recommend to use Maps.me or other GPS systems because there are many trails that go every possible direction and getting lost can be avoided. 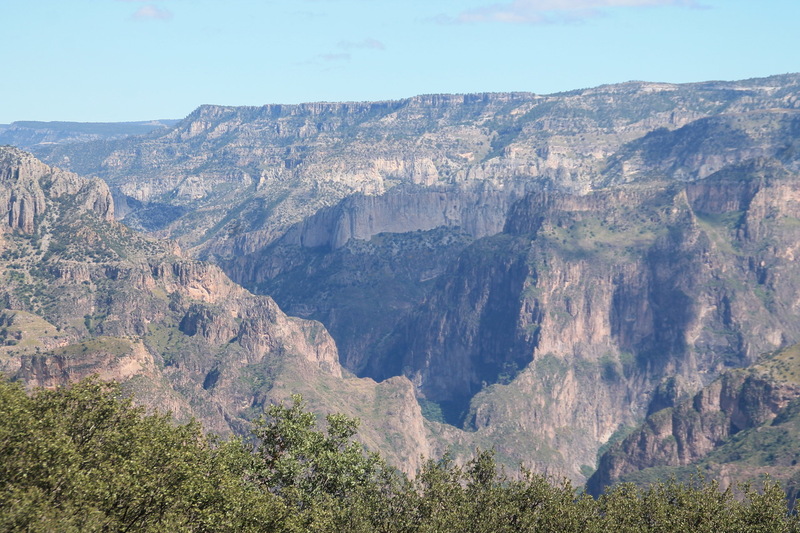 This hike, especially the first 10km will go by some very nice viewpoints and lets you discover the more tranquil part of the biggest canyon system in the world. It is actually almost twice as deep as the Grand Canyon in the United States. As you can see there are many things to be discovered for the curious adventurer. You might want to check here for some more general safety tips during your adventure travels. Overall, it’s good to be prepared but you should not be scared of what you don’t know.